Wishing for a white Christmas because safe ice for fishing is sure to follow? Us too! And while us panfish fanatics practice patience and we walleye guys wait, however, there’s still time to add some must-have stocking stuffers to our Christmas lists. Without a quality scale, good luck convincing your buddies that those fish you caught were as big as you know they were. 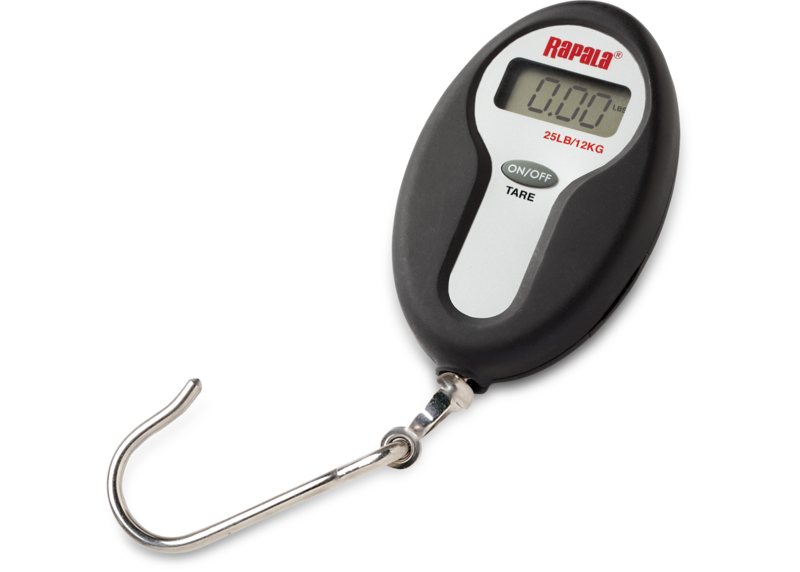 Ensure your braggin’ rights with a Rapala® Mini Digital Scale. Sized to handle anything from a trophy bluegill to a monstrous lake trout, the Mini Digital Scale is reliable and accurate with weights down to the ounce. 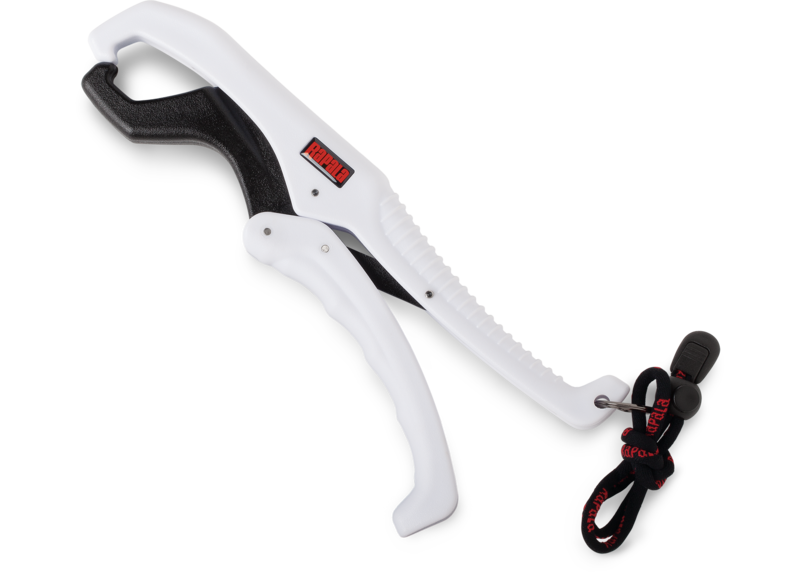 Grab and release fish quickly and safely with Rapala’s new Floating Fish Grippers. A specially engineered locking device allows for easy one-hand operation and a lanyard ensures it won’t fall down your hole. Made from non-corrosive molded HD Plastic, it’s available in 6- and 9-inch models. Capitalizing on a size-to-weight advantage, VMC®’s tungsten ice jigs drop fast to keep a hot-bite on fire. “Because tungsten sinks much faster than lead, even a tiny tungsten jig will get back down to biting fish noticeably quicker than the standard lead-head jig,” says ICE FORCE® Pro James Holst. 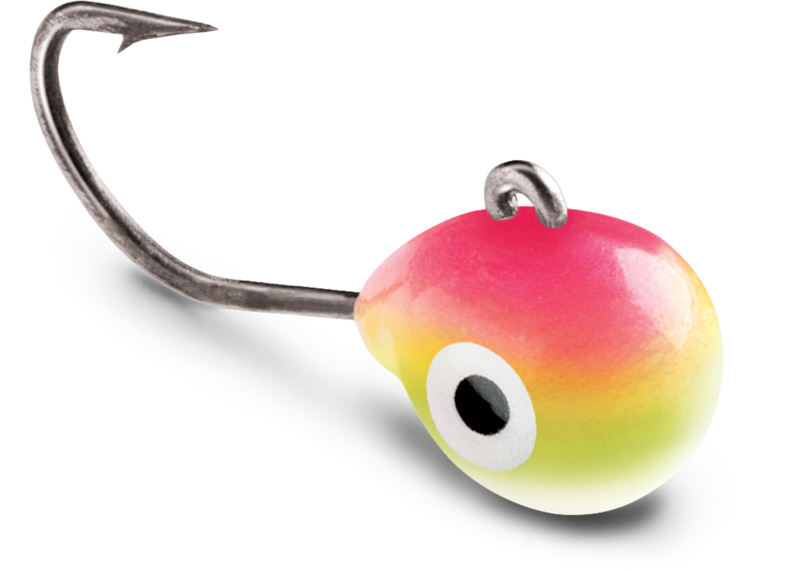 Each jig features a 90-degree hook-eye to ensure optimal horizontal position and a perfect strike angle, and VMC’s unique Power Gap, which increases hooking percentage. 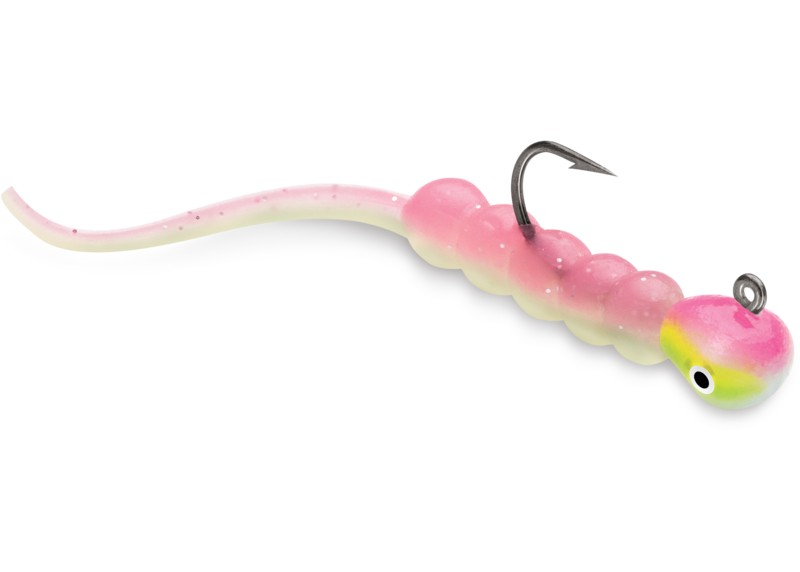 A perfect imitator of natural flies and aquatic insects, the Tungsten Fly Jig delivers big results with a small profile. The Tungsten Chandelier Jig’s inversed conical head delivers superior sonar returns, making it easier for ice anglers to target their desired depth. Add your favorite Trigger X plastic or live-bait to the sticky-sharp VMC treble hook and hold on. Perhaps the perfect panfish jig, VMC’s Tungsten Tubby Jig boasts a super-fast drop speed, allowing ice anglers to deliver their favorite Trigger X soft baits to the strike zone faster. 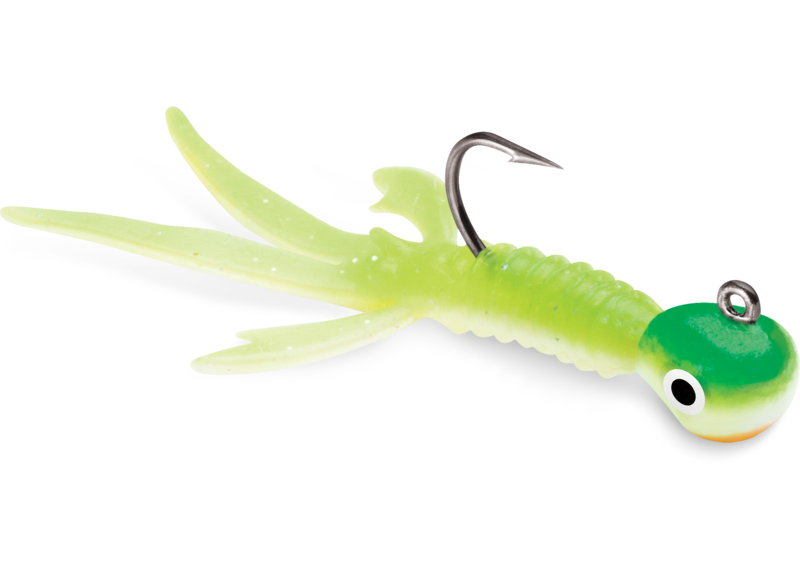 Pre-rigged with a Trigger X Nymph soft bait (also sold separately) a Tungsten Nymph Jig resembles the small aquatic insects that fish feed on year-round. It’s a great primary panfish presentation and a finesse walleye offering. Pre-rigged with Trigger X Wax Tail soft baits (also sold separately), Tungsten Wax Tail Jigs are a deadly combination for weedline-hugging bluegill and open-basin crappie. Slowly twitch a Tungsten Wax Tail Jig in place when fish are in a finicky mood. Its subtle action will turn lookers into biters. Forged from top-quality materials with input from ICE FORCE pros, VMC’s ice spoons bring to life a wish list of ice fishing’s top sticks. Each features holographic eyes and comes in three UV Ultra Glow colors, four Ultra Glow patterns and four natural patterns. Constructed of heavy-duty brass, the Flash Champ Spoon is designed to get down to the action quickly. 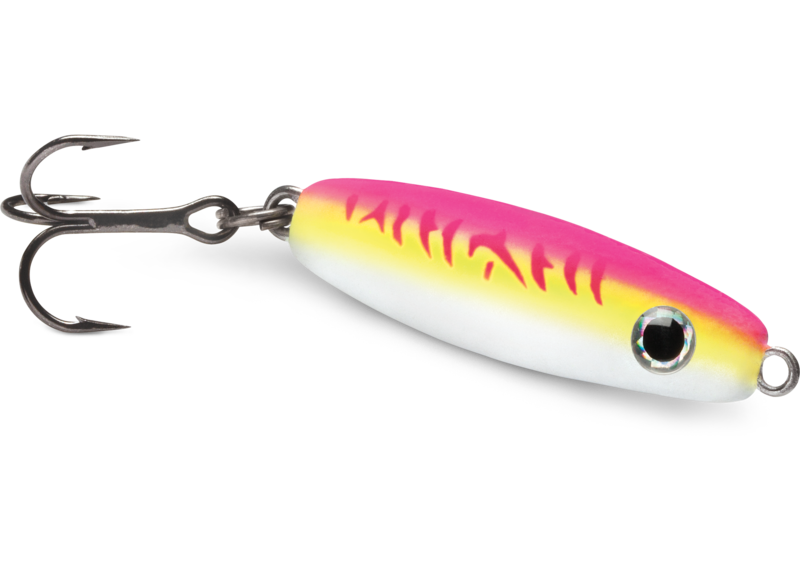 The secret to its erratic action is its beveled edges and tapered design, which give the Flash Champ Spoon an erratic, fluttering movement fish can’t resist. 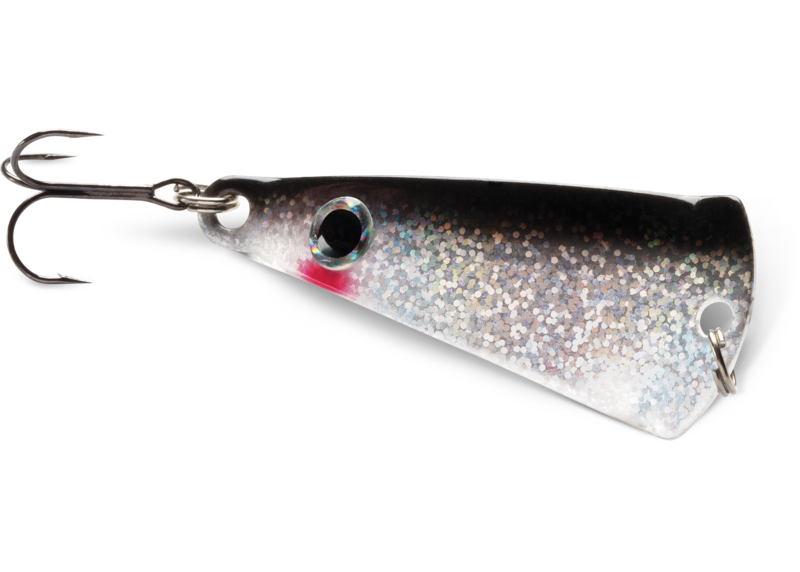 The Tingler Spoon’s large, thin body flutters slowly and seductively on the fall, attracting fish from a distance and triggering them to strike with its mesmerizing, wounded baitfish action. While most spoons cover only the small-diameter water column directly under the hole, but the Tingler Spoon flutters out to the side, into previously un-fished territory. You can then work it back towards your hole using short hops. The Tumbler Spoon’s unique “knuckle bend” creates a slow-tumbling action that entices even the most finicky of neutral to negative fish. A small, metallic attractor blade imparts additional flash and sound when it collides with the spoon and hooks. Reach for a VMC Rattle Spoon when you need to call fish in from a distance. Bounce it off sand, rocks and mud to agitate the fish into biting. 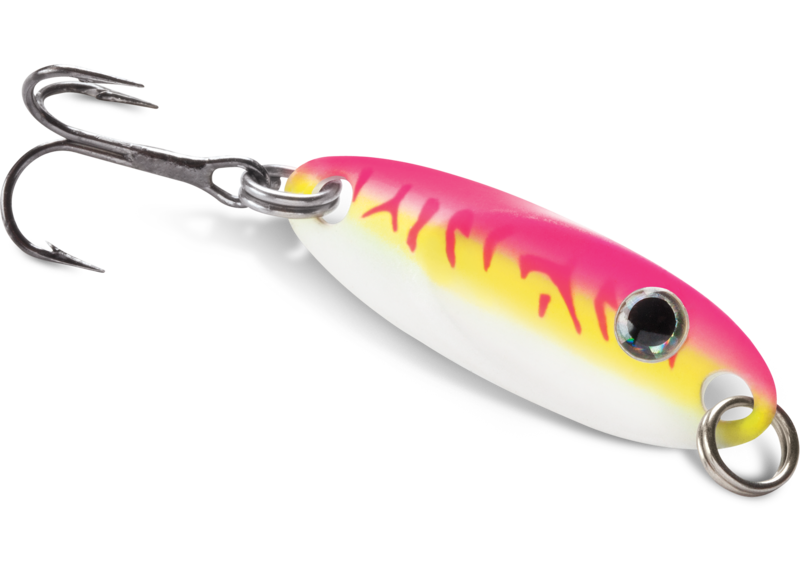 A specially designed resonance chamber made of heavy-duty brass and multiple beads allows anglers to make a racket with just a subtle jig stroke, while still delivering action to the lure. As open-water anglers know, braided line offers a non-stretch, abrasion-resistant advantage. Ice anglers enjoy the same benefits with Sufix 832 Advanced Ice Braid. Traditional braids fished on the ice absorbs water and quickly freezes spools solid. 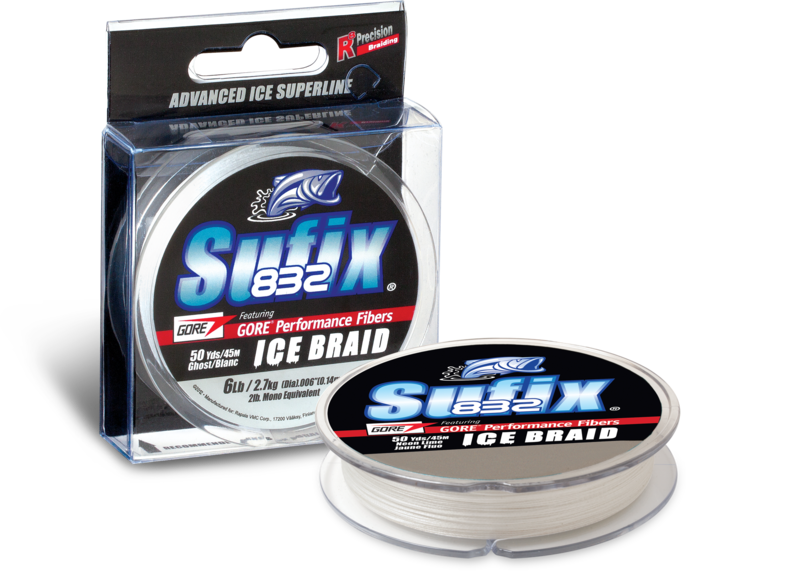 But Sufix 832 Ice Braid, inlaid with GORE Performance Fibers, sheds water like duck feathers. As an ice angler, you know that’s a major advantage. Featuring GORE Performance Fibers, Sufix’s advanced ice superline exhibits the same featherlight, user-friendly features as its award-wining, open-water counterpart. It’s also the fastest -sinking ice braid available. Sufix 832 Ice Braid comes in 50-yard spools of 4 -pound test in a 1-pound diameter, an in 6, 8, 10, 20 and 30-pound test in an 8-pound diameter). It’s available in both Neon Lime and low-vis Ghost colors. 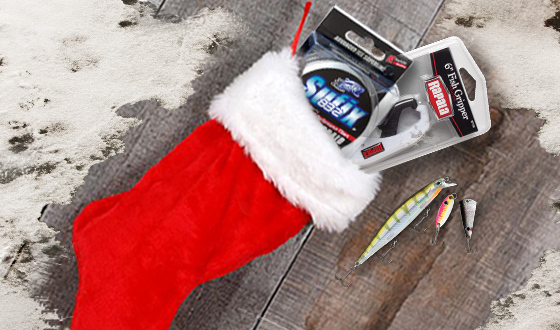 Considering how they flew off the shelves last spring, you’d better stock your stocking now with Shadow Rap®s, the hottest thing to hit the water in years. 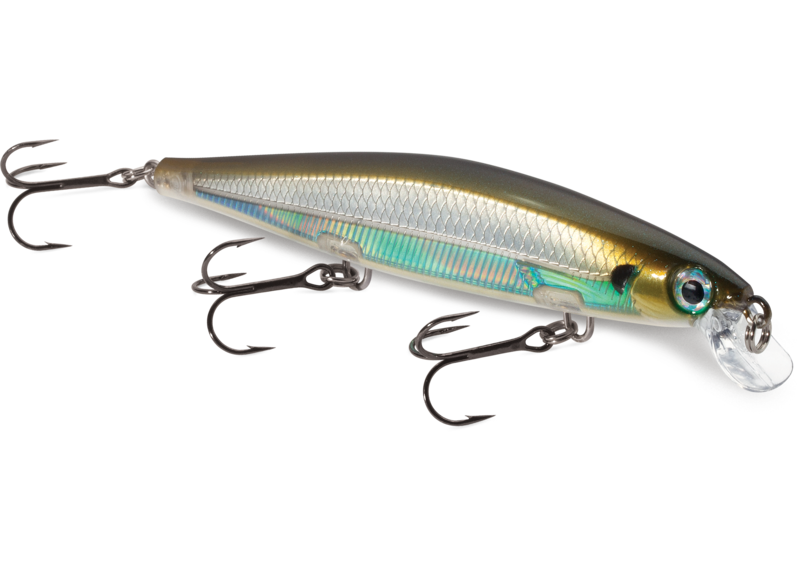 Combining a horizontal struggle with a vertical fade, Rapala’s new all-season jerkbait perfectly mimics an injured minnow’s last moments. 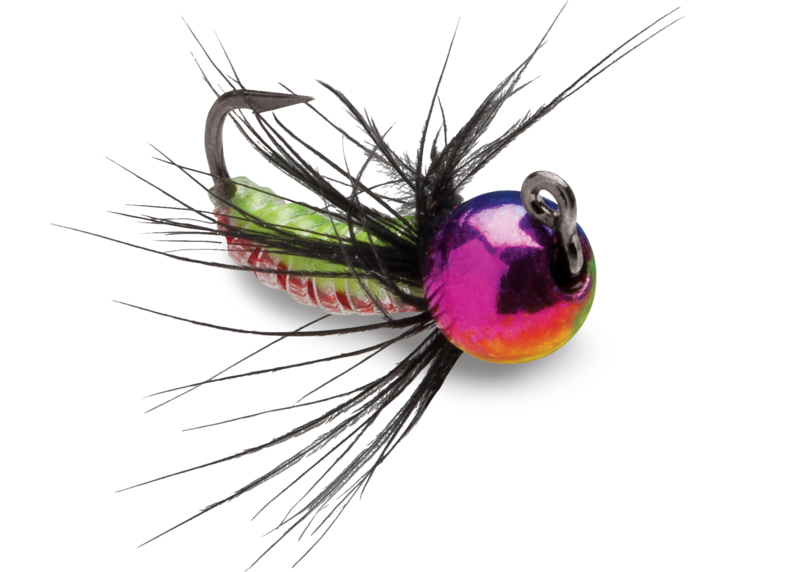 Unlike a host of similar-looking jerkbaits, Shadow Raps neither rise slightly on the pause, nor strictly suspend in space. Rather, they combine a horizontal struggle with a slow vertical drop. And while most jerkbaits follow a forward trajectory with each twitch of the rod tip, the Shadow Rap’s action stands out. Not only will it dart side to side, but with the right action, you can make it spin around almost 180 degrees. And with very little effort, an angler can fish a Shadow Rap practically in place, positioning its flickering fade right in a fish’s face. 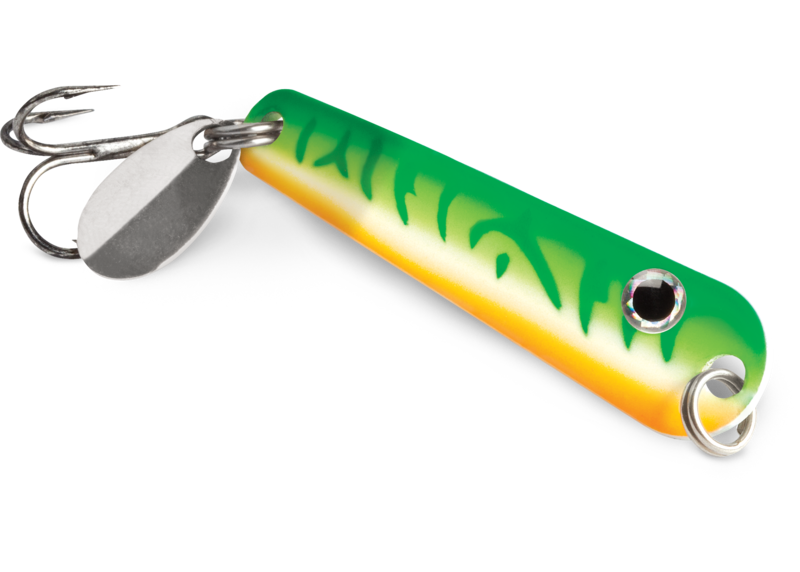 Featuring a metallic style body finish with textured scales, the Shadow Rap is designed to target bass and other gamefish in two to four feet of water. The Shadow Rap Deep targets fish in four to eight feet. Both models come armed with three sticky-sharp No. 6 VMC black-nickel, round-bend hooks and are available in 14 color patterns: Albino Shiner, Blue Back Herring, Blue Ghost, Bone, Bud, Carbon, Clown, Ghost, Ghost Shiner, Moss Back Shiner, Olive Green, Purpledescent, Silver and Yellow Perch. Each measures 4 3/8 inches and weighs 7/16 of an ounce. Visit rapala.com or your favorite outdoor retailer to order these products and more. 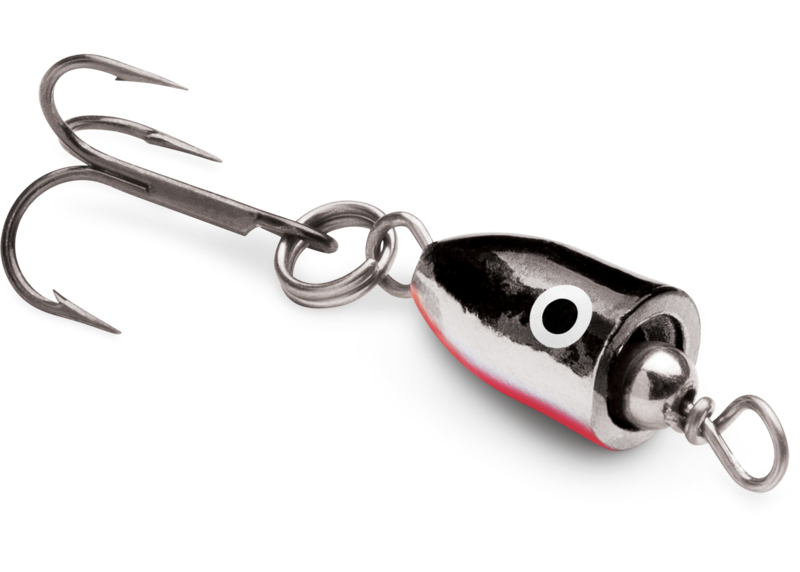 Rapala.com offers overnight shipping (if ordered before 1 p.m. CST), so you’ll have your order in no time. And be sure to check out Rapala’s Facebook page for special offers, tips and techniques, new-product demonstrations and much more. This entry was posted in Rapala, Sufix, VMC and tagged 832 Ice Braid, Flash Champ Spoon, Floating Fish Grippers, Mini Digital Scale, Rattle Spoon, Shadow Rap, Tingler Spoon, Tumbler Spoon, Tungsten Chandelier Jig, Tungsten Fly Jig, Tungsten Nymph Jig, Tungsten Tubby Jig, Tungsten Wax Tail Jig. Bookmark the permalink.